DAVID DUNLOP is a modern-day old master whose luminous landscapes draw from both Renaissance techniques and contemporary science. His paintings have been shown internationally and are held in the collections of major corporations including Aetna Insurance, Citibank, Colgate Palmolive, Delta Airlines, GE Capital Corporation, IBM, Mobil and more. 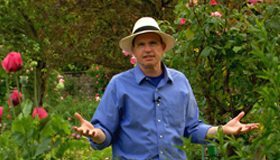 David is the engaging host and writer of the 13-show national PBS television series, Landscapes Through Time with David Dunlop, for which he won an Emmy and a CINE Golden Eagle Award in 2009. In 2017, the second series was nominated for an Emmy. Landscapes Through Time is distributed internationally and returned to U.S. national television in 2018. Both series were produced by SimmonsArt and directed by Connie Simmons and the first was also co-produced by Connecticut Public Television. 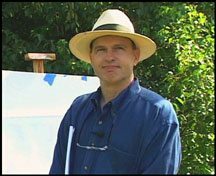 David is also the host, artist and writer in several other multi-DVD series on painting landscapes produced by SimmonsArt, blogs regularly, and has a devoted following on YouTube. David’s work has been reviewed extensively, including, Art New England and The New York Times. After being juried into the prestigious Art of the Northeast USA, David won the Jens Risom Award and David and his son Max Dunlop won the Revington Arthur Award. Galleries and institutions have granted David solo shows since 1981. Just completed in 2018 were “Natural Rhythms,” Susan Powell Fine Art, Madison, CT, and “Rhythmic Transitions,” Drawing Room Gallery, Cos Cob, CT. 2018 began with “David Dunlop,” Lily Pad Gallery West, Milwaukee, WI. 2017’s shows were “daviddunlop: the electric city,” White Gallery, Lakeville, CT; following “Travels in Light,” Attic Gallery, Camus, WA; and “Travels in Light,” Susan Powell Fine Art. 2016 saw “David Dunlop Paints the Northeast Corner,” White Gallery, along with “Visual Journeys,” Drawing Room Gallery, and “Journeys into Light,” Susan Powell Fine Art. 2015’s exhibitions included were “Pathways of Illumination,” Drawing Room Gallery; “Moving Through Color & Space,” Attic Gallery, Portland, OR; “Luminous Harmonies,” Susan Powell Fine Art; “New Oils on Aluminum,” Adam Cave Fine Art, Raleigh, NC; plus David was the featured artist for CCNS, Rowayton, CT. Other 2015 shows were “Father & Son: Paintings by David Dunlop & Max Dunlop,” Watershed Gallery, Ridgefield, CT; and “David Dunlop/Max Dunlop,” and “Winter Warmer,” White Gallery. 2014 began with a solo show “Travels Through Atmosphere,” Susan Powell Fine Art; other shows were “landscapes, landscapes, landscapes,” White Gallery; “Ebb & Flow,” Drawing Room Gallery; “From Shore to Sail,” and “New England Light & Seasons,” Susan Powell Fine Art; and “The Language of Color,” Art3Gallery, Manchester, NH. 2013’s shows were sponsored by Crossroads Art Center, Richmond, VA; White Gallery; Susan Powell Fine Art; Adam Cave Fine Art; Watershed Gallery, and Attic Gallery. David’s reputation as a painter who combines artistic skill, knowledge and enthusiasm prompted The Metropolitan Museum of Art to invite him to lecture on 4000 years of landscape painting in 2005. He has been a visiting artist/lecturer at many museums and institutions, including the Huntsville Art Museum, Huntsville, AL; Montclair Art Museum, Montclair, NJ; Springfield Museums, Springfield, MA; New Britain Museum of American Art, New Britain, CT; Caramoor Museum of Art, Katonah, NY; Shelburne Museum, Shelburne, VT; and Arizona-Sonora Desert Museum, Tucson, AZ. His PBS program on Cezanne is included in the exhibit Cezanne and American Modernism at the Montclair Art Museum.David is exhaustively well-read in pursuit of the underlying principles of art, exploring original sources and recent advances in neuroscience. David has been a painting teacher at Silvermine Art Guild for many years and has a devoted following around the world. He teaches workshops on many varied topics throughout the world as well. David graduated Phi Beta Kappa from the College of Wooster, Wooster, OH, and was honored as a Distinguished Alumnus in 2011. He earned an MFA from The Pratt Institute, NY, NY. He is on the faculty of the Silvermine School of Art in New Canaan, CT, where he teaches, lectures, and leads workshops, as far afield as Italy, France, Spain and Japan. He was honored with their Living Art Award in 2017. David lives in Wilton, CT, with his wife, Rebecca Hoefer. CONNIE SIMMONS and DAVID DUNLOP began working together to create programming about art, art history, painting and creativity after Connie took one of David’s painting classes at Silvermine Art Guild in Connecticut. She left his classes so inspired by his approach, inspiration and encyclopedic knowledge, and they found that they had similar goals. They formed a partnership to try to capture this approach and to create a new type of art programming that would explore art and creativity in a series of DVDs and television programs. Connie is the President of SimmonsArt Inc. and she and David have produced many series and art programs. 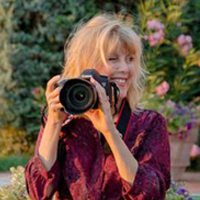 She produced and directed two Seasons of the PBS Series entitled Landscapes through Time with David Dunlop, which began airing nationally in June, 2008 and several different series of other arts programs. She and David were both awarded a 2009 Daytime Emmy for Outstanding Writing in a Special Class Series and they were both also nominated for a 2009 Daytime Emmy for Outstanding Directing in a Special Class Series. 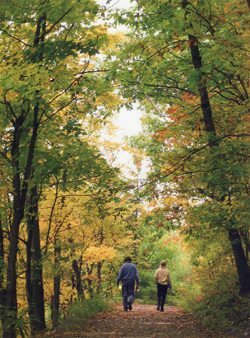 Landscapes through Time with David Dunlop has been broadcast in over 88% of the US and in 92% of the top 10 demographic markets. Connie began her career as an entertainment lawyer in private practice, working with film companies such as New Line Cinema and Miramax. She left private practice in 1990 to serve as vice president at Columbia Tri Star. Connie was part of the management team that launched the Food Network in 1993 and she served as its Executive Vice President. Connie spent her first years in Texas, first in Dallas and then in Austin. She received her BA in History at the University of Texas at Austin. She then moved to New York City and received her JD from Columbia Law School. She lives in New York City with her husband Jim Krugman.